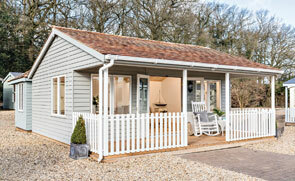 High-Quality Garden Buildings | Delivery & Installation Incl. 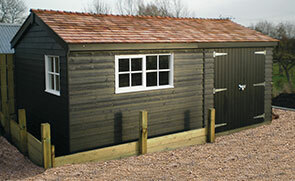 Exceptional Garden Sheds and Workshops built to your requirements using the highest quality timber. 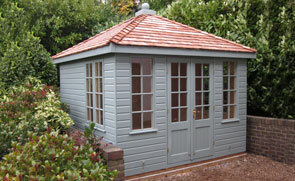 Traditional or contemporary, our Garden Offices and Studios will provide essential extra space. Traditional buildings of distinction. Designed with style and built to give you a lifetime of pleasure. Simply stunning. The Garden Room is the ultimate in luxury, outdoor living space and unique to us. Strong, purpose built to suit your garaging and storage requirements. At Crane Garden Buildings, we aspire to help you, our customers; whatever the purpose of your garden building, we make the selection process easy and enjoyable for you. All of our buildings are hand-crafted in our Norfolk based factory, and we aim to provide exceptional quality in all of our builds using the highest quality tools and materials across every stage of the building process. With a wealth of 40 years' experience behind us, and a host of experienced craftsmen at our disposal, we can help you with your garden building ideas; tailoring our standard buildings to make it perfect for you. 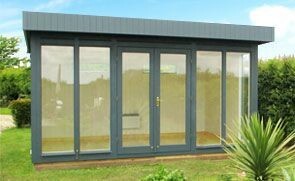 From practical Sheds, Workshops, Timber Garages and Greenhouses to Summerhouses for relaxation, Offices and Studios to work in and luxurious Garden Rooms for stylish outdoor living, we have a wide range of timber buildings that cater for many different purposes. 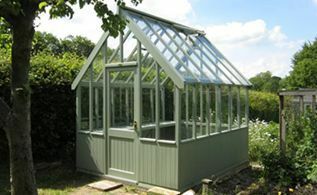 The timeless design of our products, the longevity of the buildings and our outstanding customer service is what has helped our reputation grow over the years, so thank you for visiting our website; if you would like some more information on our garden buildings, please contact us. Throughout the month of May, the Hillier Garden Centre in Newbury will be hosting various exciting workshops designed to enhance your gardening and cooking skills just in time for summer! There are both Hanging Baskets & Planted Container Workshops as well as a Vegetable Feast Cooking Class taking place on various dates in May. Designed and hand-built at our Norfolk factory, this stunning National Trust Blickling Shed was recently installed for a customer wanting a characterful shed for their traditional country garden. Taking its name from the awe-inspiring Blickling Hall local to our HQ, the shed was both delivered and installed at the customer's specified delivery address as part of our exceptional service. This high-quality and attractive timber Garage was recently installed for a customer based in Bodicote, Oxfordshire. Selected from our range of high-quality timber garden buildings, the building was handmade to order at our Norfolk factory using only the finest FSC® certified timber and expert craftsmanship, before being both delivered and installed by our in-house installation experts. I would like you to know that my husband are delighted with our new little shed and we were very impressed with your company, both with the product and the service we received throughout the process from order to delivery and installation. Everything was excellent and we think you are a first class company. The young men who installed the shed put it up in pouring rain but remained cheerful throughout with not a word of complaint. Their attitude was exemplary and we feel they are to be commended. We would not hesitate to recommend your company to others. Many thanks. Shed was delivered yesterday. Your team did a great job assembling it and gave helpful advice about its long term care. They arrived when they said they would, parked fine and worked really fast. Most impressed. I want to thank you for you advice and guidance - especially your frank and honest answers to my questions. 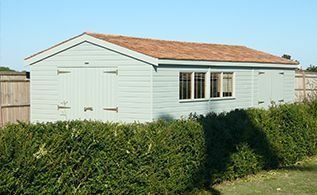 I am delighted to have purchased a garden office/summerhouse from Crane buildings and was very impressed that you were able to visit my property so readily which helped re-assure me that I was making a good decision. I feel completely confident in the professionalism and service Crane Buildings offer and am impressed how you solved the challenges to the access of my property. Just a note to let you know that your workmen have just completed installing our little shed, and we are very pleased with the finished result, and your workmen were very polite and helpful. Thank you.